Xcaret is one of the most popular tourist destinations in the Mayan Riviera. It covers 80 hectares and you can get to all of its attractions, archaeological zones, beaches and cenotes through different paths. Some compare it to Disneyland for its different themed attractions, although Xcaret is bigger, which means more fun. It is a paradise located in the Mayan Riviera, on the seashore. It includes,with your general admission, impressive attractions such as the Mexican Cemetery, the Scenic Tower, the Mayan Village and the ‘Mexican Wine’ storage room, among others that will make your day something quite magnificent. What should I take into account before I go? Carry cameras, memories and batteries to spare, because the journey is long. Do not party the night before. You have to wake up early and be there on time to see everything on your agenda. There are lockers in which you can store your belongings. They are very safe. You can not miss special events. Acquire a photo package in advance. 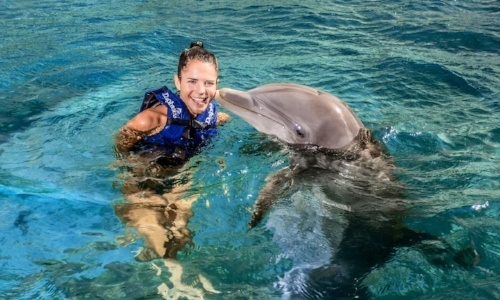 If you are looking for aquatic experiences in the Caribbean Sea, you can purchase a Snorkel Tour, an Underground Rivers tour and swim with dolphins. On the other hand, if you are a nature lover looking for land activities and want to immerse yourself in the flora and fauna, you can go to the River of Paradise, the Island of the Jaguars or swim with the Sea Turtles. At night, Xcaret dresses up with lights to enjoy the 'Xcaret México Espectacular' show, with more than 300 artists on stage, all with exceptional costumes, incredible lighting effects and live music. How can I organize my day in Xcaret? All routes include activities, restaurants and services. 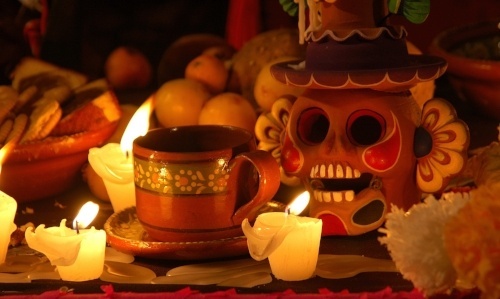 If you want to taste the gastronomy of Xcaret, you can try it in its restaurants and in the snacks bars and pubs, as well as the dinners in Great Tlachco and the special events. One of the main functions of the ecological park of Xcaret is to promote the preservation of its species, it is a sustainable place. 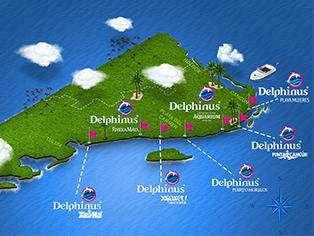 You can witness this in Delphinus Xcaret, as one of their priorities is the maternal care in dolphins. This habitat in Xcaret was the first of Delphinus. You can get there by walking along the black trail until you connect with the red one and then walk on it until you arrive at Dolphins Xcaret. After swimming with dolphins, on this path you can find natural pools and activities like Xpá, Adrenalina and Snuba Arrecife. Do not forget to eat at one of their restaurants, because the experience would be incomplete if you don’t.